Home > How can you measure the value of a webpage? > How is Google PageRank different from Majestic Trust Flow? How is Google PageRank different from Majestic Trust Flow? 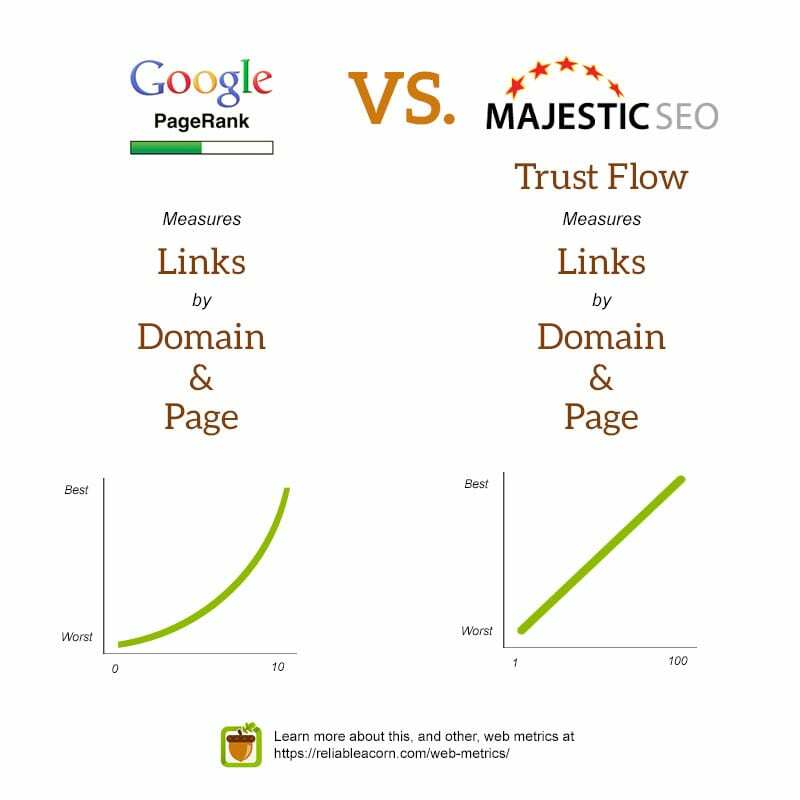 Google PageRank measures links to a page or a domain, just like Majestic’s Trust Flow. Trust Flow, however, is a score based on quality, calculating the distance in links from a set of trusted seed sites. Another difference is that PageRank uses a 0 to 10 exponential scale while Trust Flow measures between 0 and 100 on a linear scale. That means the difference between two “points” of PageRank is exponentially larger than two “points” of Trust Flow.